If you love playing Counter-Strike: Global Offensive, you definitely know how important it is to pick the right mouse. Without a good mouse, there is no way you can shoot accurately, let alone win the competition. To help you choose the most suitable mouse, make sure to consider these following things. Sensitivity is the first thing you should consider when choosing the best CSGO mouse. The sensitivity of the mouse is measured by the DPI (Dots per Inch) or also called CPI (Counts per Inch). Many people say that the bigger the DPI is, the better the mouse is. But the truth is it is not always the case. The DPI that is the most suitable to play this game is usually around 400 – 3200. If you prefer to play with low sensitivity, go with lower DPI. But if you prefer high sensitivity, then high DPI might be the more suitable choice. 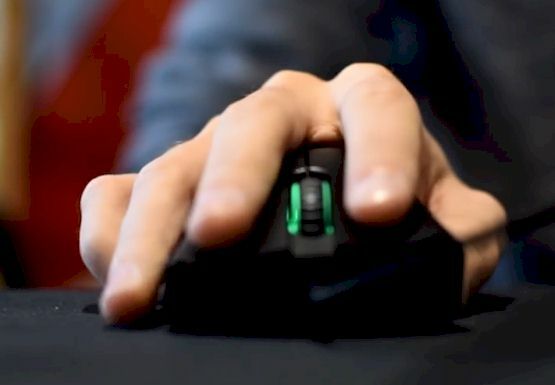 Make sure that you can hold the mouse comfortably so that you can aim better. There is no right or wrong here because everything will depend on your preference. The mouse comes in different shapes and it definitely will affect your comfort. Try to hold the mouse and make sure the shape doesn’t disturb you and you can grip it well. Furthermore, don’t forget to pay attention to the size as well. A bigger mouse might provide better grip but it is going to be heavier as well. If you are left-handed, you might want to pay attention to the design even more. Computer mice are designed for a right handed person. So, you might want to choose an ambidextrous mouse, a mouse specially designed for the lefties or try to adapt with the right-handed mouse. As you know, there are two types of mouse nowadays—wireless and wired. Wireless mouse tends to look prettier in design and it is also easier to move it around. However, the battery of the wireless mouse tends to make the mouse heavier. Furthermore, there are reports that wireless mouse often has small delays. They are mostly unnoticeable, but can still be a problem when you are playing professionally. Wired mouse in the other hand, will limit your movement. But it is still the best option for CS GO because it is capable to register more clicks and also doesn’t lag. Choosing a great mouse is important, but without a nice mouse pad, you might not get the best result. A mouse pad is important because it helps you control the movement of the mouse. To choose the best mouse pad, you must pay attention to the sensitivity of your mouse. If you play with lower sensitivity, you must prepare a larger mouse pad compared to when you are playing with high sensitivity. Furthermore, the mouse pad is mostly made of cloth, glass or even steel. Make sure to choose the material you are most comfortable with.